Aero Stainless Steel Deluxe Wall-Mounted Shelf w/ Pot rack, 132" W x 12" D x 12.5" H, 100 lbs. 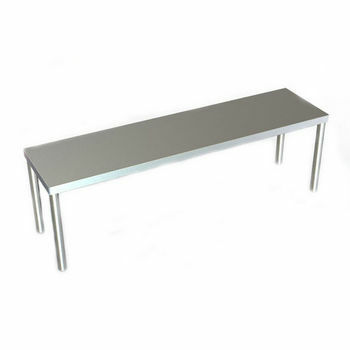 Aero Economy Stainless Steel Wall-Mounted Shelf, 48" W x 12" D x 12.5" H, 14 lbs. 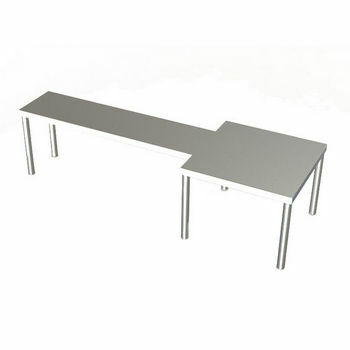 Aero Economy Stainless Steel Wall-Mounted Shelf, 96" W x 10" D x 12.5" H, 26 lbs. Aero Aerospec Stainless Steel Wall-Mounted Shelf w/ Pot rack, 84" W x 15" D x 12.5" H, 60 lbs. Aero Economy Stainless Steel Wall-Mounted Shelf w/ Pot rack, 144" W x 10" D x 12.5" H, 110 lbs. 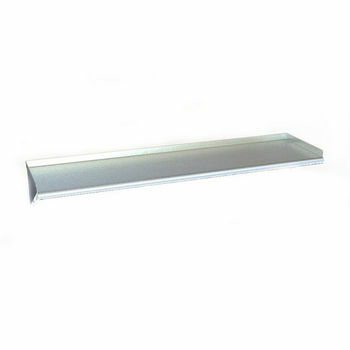 Aero Aerospec Stainless Steel Wall-Mounted Shelf, 120" W x 12" D x 12.5" H, 31 lbs. 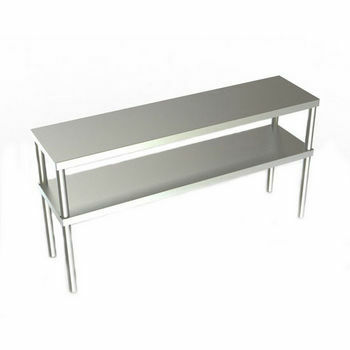 Aero Economy Stainless Steel Wall-Mounted Shelf, 36" W x 15" D x 12.5" H, 12 lbs. 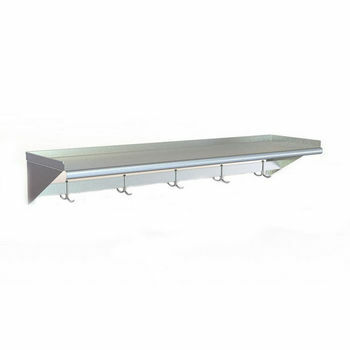 Aero Aerospec Stainless Steel Wall-Mounted Shelf, 96" W x 18" D x 12.5" H, 26 lbs.